We offer a Nutrition programme that develops your knowledge and understanding of human nutrition and the science underpinning the relationship between diet and health. This programme is professionally accredited by the Association for Nutrition (AfN) and the Institute for Food Science and Technology. Nutrition is a fast-moving discipline that focuses on understanding the role of diet in maintaining health and preventing disease. Nutritionists play an important role in providing and implementing evidence-based nutritional guidelines and recommendations. On this course, you’ll gain a solid understanding of human nutrition and the scientific basis underlying nutritional recommendations. You’ll examine the scientific, social and ethical considerations that inform the nutrition profession, all within the context of current issues, such as the global obesity problem and food insecurity. This course offers you the opportunity to spend a year working in industry or studying at a university abroad, both of which provide valuable experience and help your personal development. Both of these schemes add an additional year to your course, taking the total course length to 4 years. There is also the option, subject to satisfactory academic performance, to transfer to the MSci, BSc Nutrition (Industrial) degree, in which your industrial placement replaces the third year of your degree. The study abroad year enables you to gain insight into the study of nutrition at one of our partner universities overseas. Many students find this to be an extremely worthwhile option, that broadens their horizons and provides valuable cultural and learning experiences, while also improving their foreign language skills. AfN accreditation supports the development of nutritionists’ skills by recognising university courses that deliver evidence-based nutrition education to a professional level. Our programme’s accreditation recognises that our course meets the quality standards established by the AfN, and upon graduation you’ll be eligible to apply for direct entry at Registered Associate level to the Association for Nutrition. Year 1 introduces you to the major sources of food and their history, current trends in consumption, and key industrial processing operations. You’ll study food chemistry and develop your laboratory and experimentation skills in food and nutritional science. In addition, you’ll be introduced to microbiology, human physiology and nutrition; these modules allow you to gain a thorough understanding of how food affects health and wellbeing, and appreciate the role of food as a carrier of nutrients. In your final year, you’ll examine nutrition policy and public health, and gain an understanding of the role of nutritionists, industry, government and consumers in the policy making process, and how best to communicate nutrition policy to a lay-audience. You’ll examine the clinical aspects of nutrition and the concept of personalised nutrition, as well as the role of diet in cardiovascular health. A team project based on new product development (NPD) will give you the opportunity to explore the role of nutritionists in developing and marketing new food ranges in the food industry. You’ll also undertake an individual research project which will give you the experience of developing your research skills; you’ll be given a selection of research topics, which will relate to the nutrition research activity in the School. We provide exceptional student support to our students. You’ll be assigned a personal tutor, who’ll play an important role in supporting your academic and personal development throughout your studies. We also have a peer mentoring scheme to help you settle in when you first arrive at the University of Leeds. Suitable combinations of Scottish Higher and Advanced Highers are acceptable, though science subjects must be presented at Advanced Higher level. Typically AAABB including 1 science at Advanced Higher. 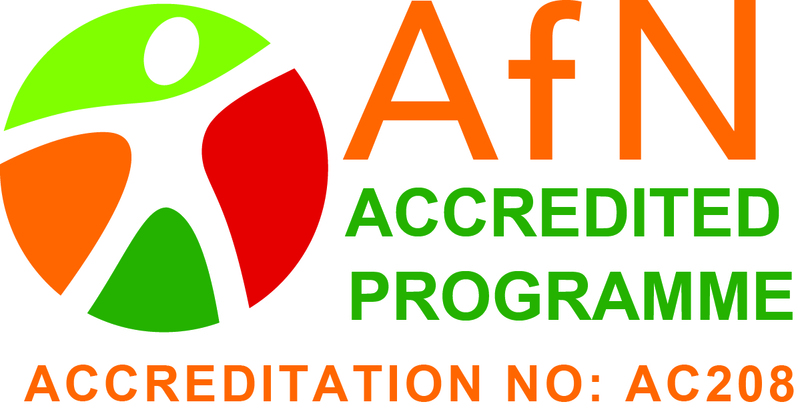 Graduates of this AfN-accredited Nutrition programme will have the scientific knowledge and relevant practical, interpersonal and intellectual skills to be able to register as a Nutritionist. You’ll be equipped to work as a nutritionist in the food industry, a nutritionist in the community or within nutrition research and consultancy. 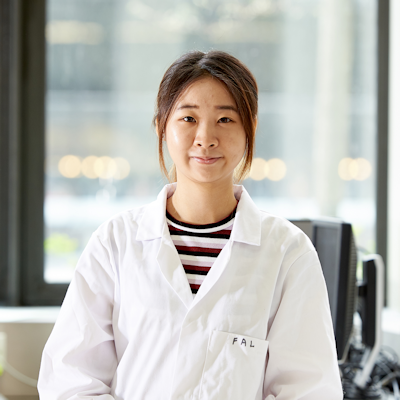 Our recent graduates have pursued a range of interesting careers, including in nutritional research, public health promotion, product development, marketing, and humanitarian work related to nutrition and public health. The course is also a stepping-stone towards obtaining higher qualifications. Some of our graduates choose to stay at Leeds to study our MSc Nutrition programme or to carry out a postgraduate research programme. Some graduates even choose to set up their own business with the help of our Enterprise Scholars scheme. There is a worldwide shortage of qualified food and nutrition graduates, so there has never been a better time to study this highly sought after degree at Leeds. Our dedicated careers centre will provide all the advice, support and guidance that you need throughout your time here. The School of Food Science and Nutrition has links with industry, meaning that whichever path you choose, you will be a highly sought after graduate. Spending a year living and studying in another country is a unique experience. There are many benefits to studying abroad, including building self-confidence, broadening horizons, taking the opportunity to learn a new language and experiencing a different cultural environment. Students not only develop new skills that improve their future job prospects, but also study additional modules which complement those studied at Leeds. This experience is also added to their degree title: for example, BSc Nutrition (International). The industrial placement (“Year in Industry”) scheme provides you with the opportunity to experience salaried work before you graduate. Employers actively seek graduates who already have work experience and it can make all the difference in interviews. In addition, the opportunity to work every day with experts in their field is an incredible opportunity to enhance your knowledge. As a BSc student you may include your industrial placement as an additional year of your studies, or, subject to satisfactory academic performance, transfer to our MSci, BSc Nutrition (Industrial) degree scheme in which your study abroad year replaces your third year at Leeds.